Made from strong steel with germ guard active technology paint. Secure 2-point locking mechanism to prevent unauthorised access. Integral liquid-tight sump to contain spillages safely. Includes 1 adjustable shelf with a UDL of 70kg. Flammable warning labels supplied as standard. Meets Fire Classification EN 13501-1 reaction guidelines. 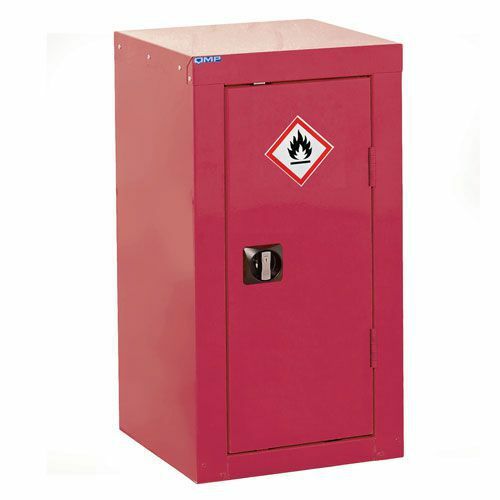 Slim red COSHH storage cabinet, perfect for safely storing flammable chemicals.